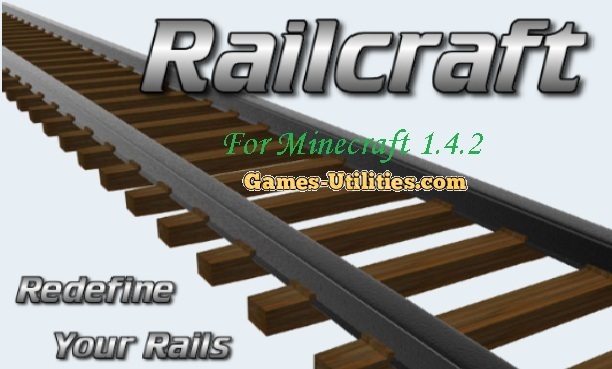 Railcraft Mod is a modification that allows you to redefine the default Minecraft cart structure by introducing several new features and objects like crowbar, Cart linking, Boarding and Holding rails, Junction Rail, Launching Control and much much more. Railcraft is a complete entertaining mod which helps you to provide a pathway to discover your minecraft world. It will give you hours of fun in multiplayer and help you in transport. Also, it is compatible with Steve Carts Mod and Sinlgeplayer commands. Description: A transportation (an advanced cart system) mod for Minecraft. Download and drop the Railcraft zip file into the “<minecraft>\mods” folder. Do not extract or attempt to place the contents into minecraft.jar! Crowbar – Rapid rail adjustment for the experienced rail engineer! Working Signalling System – Never experience another head-on collision again! Cart Linking – Make a real train! Boarding and Holding Rails – Never chase your minecart again! One Way Rail – Carts going the wrong way? Not anymore! Control Rail – Power entire sections of track to propel carts in the direction you want! Junction Rail – Putting the diamond in your rails (no actual diamonds required). Launch Rail – I can see my house! High Speed Rails – Get there faster! If you don’t crash. Wooden Rails – Jurassic Park style, only with creepers instead of dinosaurs. Elevator Rail – Go up, fast. TNT Cart – Explosive fun! Tank Cart – The easy way to transport Buildcraft liquids! Energy Cart – Convenience away from home, bring your IndustrialCraft2 power with you! Tunnel Bore – Avoid the monotony of digging perfect tunnels! Detector Blocks – More freedom to control your carts! Loader/Unloader – Move items and liquids automatically! Cart Dispenser – Convenient storage for you carts! Chunk Management – Automate things even when you are not around! So guys have fun and keep coming here to check the latest updates of your favorite game. If you find some problem related to this mod feel free to share it with your friends via comment section.